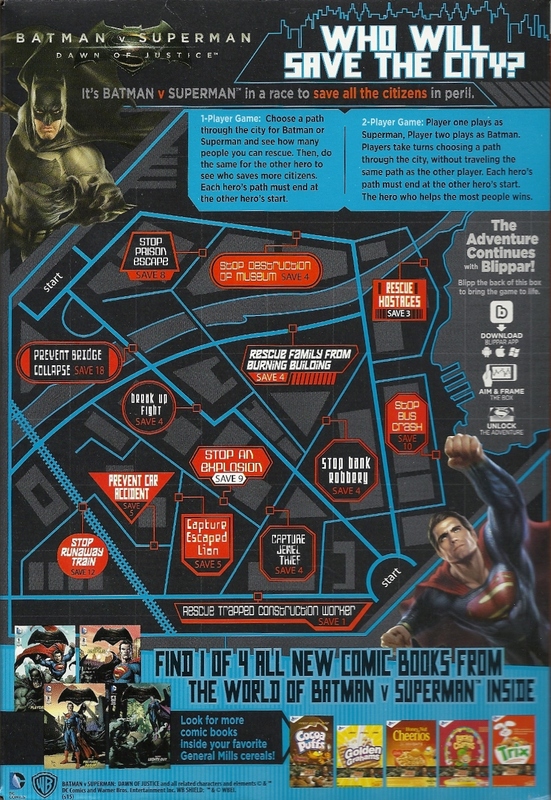 It’s somewhat odd that a film that began its marketing campaign with the line “Tell me, do you bleed? You will!” is glomming onto a cereal largely aimed at the younger set, but whatever. 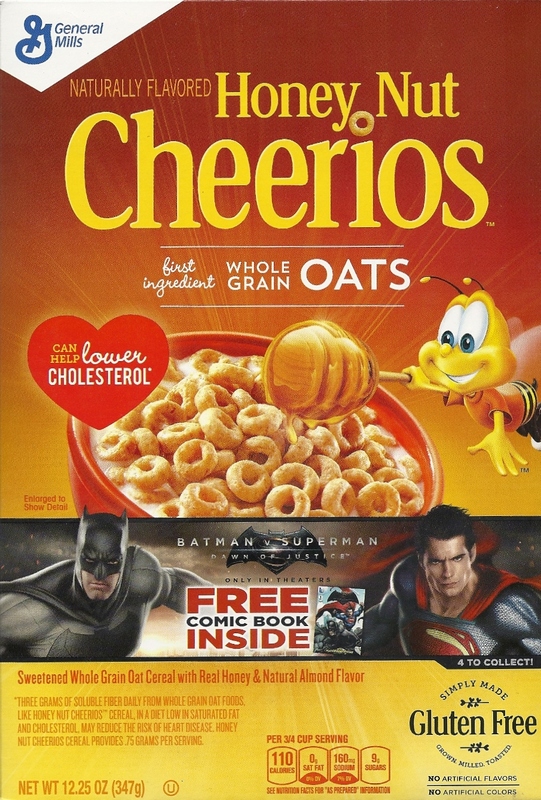 Batman v Superman and Honey Nut Cheerios — a match made in heaven! Even better than when the bee helped Christopher Columbus discover America! I saw the above box as I was passing through the cereal aisle the other day, zipping past the high fructose sugar bombs towards the dreadful plain whole oats that make up most of my morning meals. (As an aside, it still boggles my mind that Cookie Crisp, a breakfast cereal composed entirely of small cookies, chocolate chip cookies no less, ever made its way to market. This was one hell of a victory for the American Federated Children’s Union, Local 151. 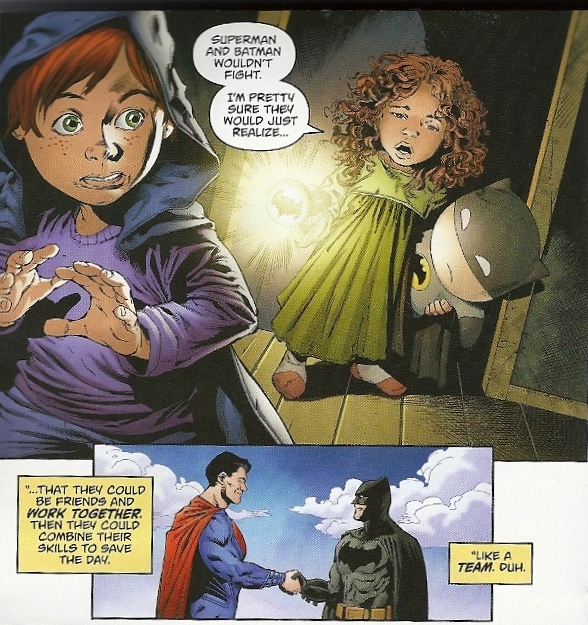 How that ever got into the parent-child collective bargaining agreement, I’ll never know.) 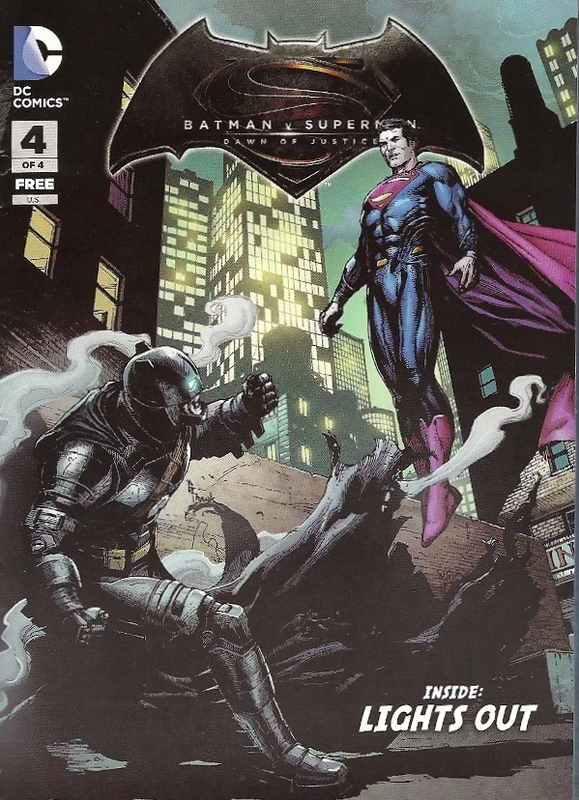 And lo and behold, there it was: a Batman and Superman tie-in, with a free comic! If there’s anything that can shake me out of my non-posting doldrums and dust off the scanner, it’s this movie. I mean, it’s wish-fulfillment of the highest order — Avengers who? How long have we been waiting for a live action pairing of these two guys? Only about 80 years, right? From the mouths of babes, you know? Duh. 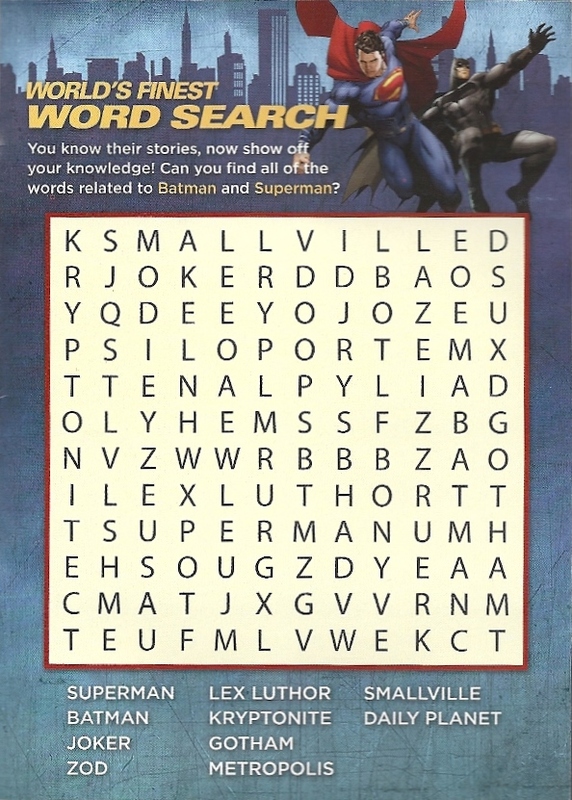 There you have it: the World’s Finest pairing of the DC Expanded Universe and General Mills. As you can see from the back of the box, you can also get your sugar/comic fix with Cocoa Puffs, Golden Grahams, Lucky Charms and Trix — so as it turns out, Honey Nut Cheerios may be the most healthy option. Anyway, check back in for my review of the movie later this week if you’re so inclined. Like I said, if this flick can’t shock paddle me into posting again, I don’t know what will.